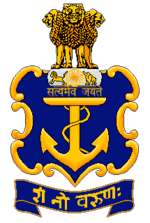 Indian Navy has published Important Notification regarding Recruitment Cancellation for Chargeman 2019, Check below for more details. Indian Navy Civilian Entrance Test (INCET) - CM (Mech) & CM (Ammn & Expl) - 02 / 2019 for the post of Chargeman (Mechanic) & Chargeman (Ammunition & Explosive) has been cancelled due to Administrative reasons. Inconvenience caused is regretted.